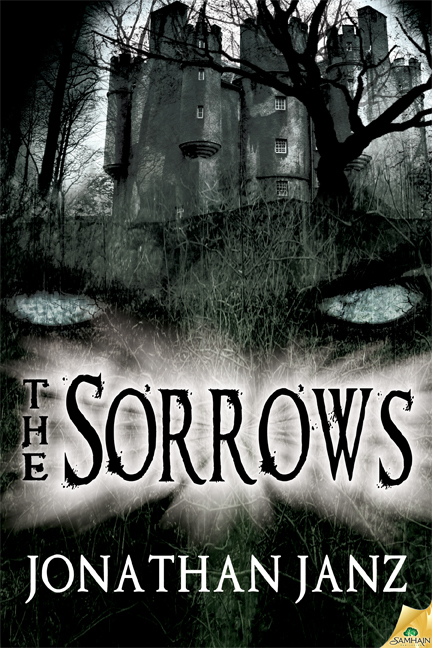 Johnathan Janz's first novel, The Sorrows, is a serviceable, entertaining work with Gothic trappings and a mythical beast that always invokes a primal fear. 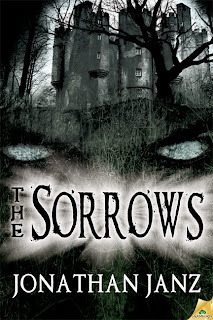 In the same vein as the late Richard Layman and especially Edward Lee's work, The Sorrows is capably written, though it does suffer a flaw or two. 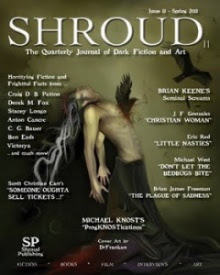 However, the characterization and prose is strong enough to carry the day, making it a solid representative of the new horror line emerging from Samhain Publishing. Film score composers Ben and Eddie are desperately looking for a place to produce music for their latest film project. Award winning composers quickly rising in the film industry, they face a daunting obstacle in Ben's recent inability to compose any music. Suffering through a terrible divorce, torn at the possibility of losing his son, Ben faces even worse news: that his ex-wife and son Joshua are moving out of state to be with her new lover. The clock is ticking, not only for their overdue musical score, but for Ben's involvement in Joshua's life. And then they discover what seems like the perfect solution: a month-long stay at The Sorrows, an island off the coast of California, which boasts Castle Blackwood, the site of unexplained murders taking place in 1925. Gothic, foreboding, eerie...the perfect place to find inspiration for a horror movie's musical score. Bringing with them a beautiful, exotic aspiring actress in Eva and a shy, demure aspiring composer in Claire, the scenario seems ripe for romantic encounters, also. But they aren't as alone at Castle Blackwood as they think. A foul spirit - residual of the mysterious events of 1925 - hides in the depths of Castle Blackwood, in the caves near the beach, and in the waters itself. It's not long before the foursome experience terrible nightmares, waking visions and phantasmagoric experiences that quickly enough become far more than just inspiration for a horror movie's musical score. It becomes their inspiration for fear. But fear is only the tip of the iceberg, because something lurks in the bowels of Castle Blackwood. An ancient creature that lusts for flesh and blood, a monster bent on destruction and depravity. And all four of these unfortunate visitors harbor more than enough personal demons for it to feast on and grow strong. To bring their worst nightmares come true. The Sorrows' greatest strength is its prose and characterization, especially in Ben Shadeland. His grief and agony over losing his son rings especially true, and The Sorrows indeed boasts a strong cast of likeable and unlikable characters. And the prose itself is clean, tight, and flows well. Janz also transitions well between the present day narrative and more formal diary entries dating back to 1925, without giving away too much. It's not a perfect novel, by any means. There are some improbabilities - characters suffering seemingly serious wounds, only to shrug them off and engage in incredible physical feats - and some of the plot late in the novel seems a bit contrived. However, the novel's strengths outweigh its weaknesses, making The Sorrows definitely worth the read. Visit http://jonathanjanz.com/. Buy the ebook or paperback today.